Food has never been an important aspect of my life. Since my childhood, I have been eating whatever was being served on my plate. Things have drastically changed after I met my partner a few years back. I am a forced foodie now. Funny but true that my partner is a huge foodie and is very particular about everything related to food, starting from the taste, look, colour of the food to the size and cut of the vegetables. No, I am not exaggerating. Hence, we have been known to try out important food outlets of any city that we visit. 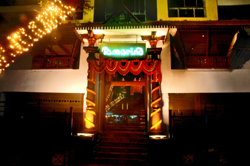 Recently we have visited the Tamarind on the Sarat Bose Road, Kolkata. The Tamarind is on the first floor of a road side building that has excellent location and a convenient parking space just in front of the building. Our driver was happy to find a place in front of the entrance door. The moment we entered, a strong smell of disinfectant liquid used to mop the floor, made me uncomfortable. However, it was just the stairs and there was another door to enter the main eating area. Hence, I hoped the smell won’t be there while we eat. I was, thankfully, right. The ambience was nice with a few waiters waiting for us, as there were no customers yet. It was 7.30 pm and we had gone for a lazy, early dinner. The seating arrangement was comfortable spaced out and a few theme Nick Nacks adorned the shelves. Our starters have come after a short wait and since we had already decided on the main course, we ordered our individual preferences of Coriander Rice, Ambat (dal with spinach leaves), Motta Roast (Egg preparation), Appam (kind of a pan cake) and Avial (mixed vegetables stewed in coconut milk). The Tomato Rasam was really wonderful and yummy but my Lemon Rasam disappointed me. It was extremely tangy, to the extent that your tongue would shrink and twist out of the citrus taste. I couldn’t continue sipping. However, the Paneer Tikka was nice, soft and yummy! The presentation of the food was nice. I didn’t know what to expect when the main course arrives. Well, we didn’t have to wait long. We asked the waiter to serve our choices a little portion of each on our plates and started having it. My partner was silently having his Appam and Avial. After finishing my prayer, I wondered why is he silent! He said, “This is the worst Avial I have ever had. They must have used desiccated coconut or some ready made mix to make it.” There we go again! I thought to myself. I had my first spoon of Coriander Rice and I didn’t know why they are calling it Coriander Rice as there was no fragrance of coriander in it, except a few dried, unidentifiable pieces of some green leaves. The only thing I could eat and give some grade was the Ambat or the Spinach Dal. My partner had given the final verdict, “It’s a fake.” (FYI, my partner is a Tamil Brahmin 🙂 Boing!!!) I give it a 3.5 out of 10, 10 being the best score. My point here is, if you are doing a business, you have got to be honest and passionate about it. The grand result will show. People should not opt for short cuts, as the result of short cuts would always be short lived. 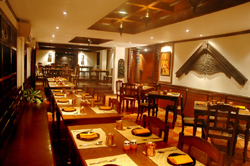 My this experience in Tamarind made me fondly recall the food I had in Malgudi. Tamarind couldn’t really impress us much. 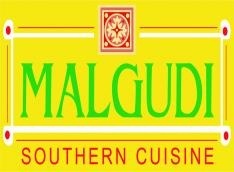 Malgudi is a chain of South Indian restaurants operated by the Shyam Group and the restaurants are well appreciated with its outlets in Chennai, Bangalore and Hyderabad. The one I had been to, is in Hyderabad. When I was working in Hyderabad, this used to be one of my favourite places to eat. 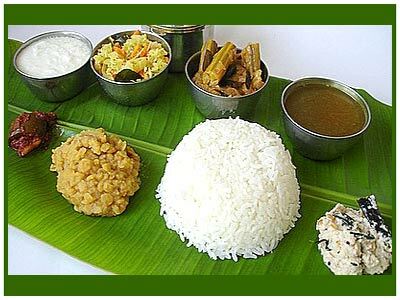 Malgudi has a state specific menu that served food specific to that particular State of Southern India. The first striking point is the look of the restaurant. It looks like the Malgudi railway station of Malgudi. (For those who didn’t know, Malgudi is a fictitious town in India created by my favourite writer R.K. Narayan in his novels and short stories.) Malgudi made me feel special, as the waiters and cooks went out of their way to accommodate my orders according to my taste and requirements. The visit to Tamarind really made me miss Malgudi. Oh it was such a wonderful experience! I think I should write a complete blog on Malgudi once I visit it again. It’s been quite some time now since I have visited it last.